We opened a new location in Newport News, Virginia—located northwest of our office in Norfolk, about 40 minutes away. The address of our new office is 510 Mueller Avenue. We are thrilled with the new location and look forward to more easily (and quickly) serving customers in the Newport News area. Tidewater Insulators is now a trade ally partner with Columbia Gas of Virginia. Through their WarmWise energy efficiency program, Columbia Gas gives their customers a rebate of 18 – 30 cents per square foot of their house if they get new insulation. The program started in January 2013 and ends on December 31, 2015. Did you have insulation work done in your home in 2012? Planning on re-insulating sometime this year? 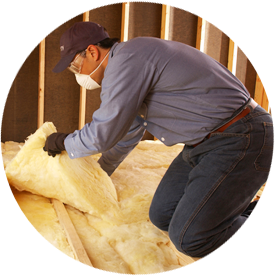 You can get a federal tax credit of 10 percent or up to $500 for insulation work in 2013 or past work done in 2012. This is part of the 25C residential energy efficiency federal tax credit under the new legislation from January 1, 2013, which President Obama signed into law. This legislation reinstated the 25C residential tax credits that expired at the end of 2011. Tidewater Insulators is participating in two local home shows, in February and March 2013. The Hampton Roads Home + Garden Show will take place on February 8 – 10 at the Hampton Convention Center, located at 1610 Coliseum Drive in Hampton, Virginia. We will be exhibiting insulation and will be in booth 725. The exhibitors at this show cover a variety of home services in addition to insulation—HVAC, bathroom remodeling, gutter protection, landscaping, plumbing, real estate and more. The Mid-Atlantic Home & Garden Show, one of the largest consumer shows in the region, takes place March 1 – 3 at the Virginia Beach Convention Center, located at 1000 19th Street in Virginia Beach, Virginia. We will be exhibiting insulation and will be in booth 525. The other exhibitors offer displays and demonstrations for services such as garage doors, custom closets, decks and patios, flooring, home furniture and décor, plumbing and more.